Excelsis 200 series Flower Vase, with a handsome square base. 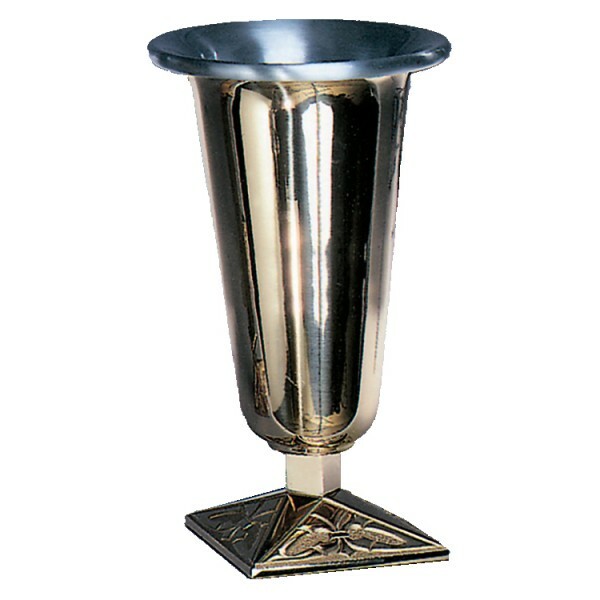 Made of bronze with a high polish (as pictured) or satin finish. Supplied with an aluminum liner which may also be purchased separately. This item is also available in brass for an extra charge. Many matching items are available in the 200 series.